Every five years, the Duke University Alumni Association invites its graduated classes back to campus. In 2015, that celebration brought together 3000+ individuals and thirteen classes to celebrate relationships and their time at Duke, as well as donor development. A large event to be sure, but further elevating complexity was the fact that the traditional event location was undergoing renovations–necessitating a move to Cameron Indoor Stadium. The overarching goal for the weekend was to create a unique and extremely memorable time for attendees ensuring a high level of engagement and enthusiasm for the university. Because the event spanned multiple days, two separate looks were required to transform the indoor space. 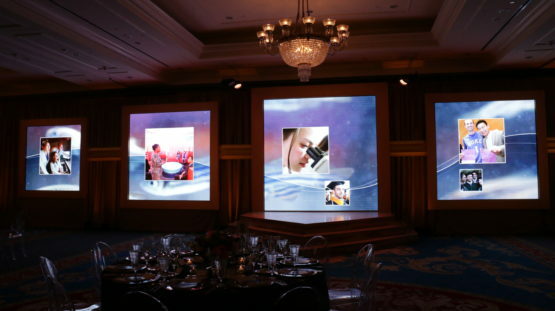 To accommodate this diversity, Creative Visions used custom and stock screen surfaces to enable projected images and videos in a variety of stand-alone and mixed formats. First up was a Friday night party that generated a club atmosphere, complete with video DJ, geometric décor and engaging entertainment elements. 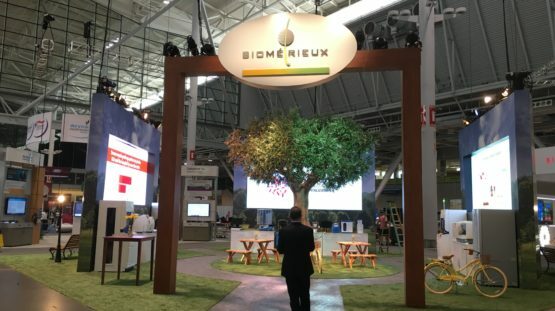 Adding to the interactivity, “TapSnap” kiosks that filmed slow-motion videos were strategically placed throughout the venue, allowing for iconic background image and photo selections based on the relevant class era. These could be immediately posted to social media sites, allowing for real-time, viral engagement with the outside world. Next, and at the opposite end of the event spectrum, was a Saturday morning presentation for the University President. 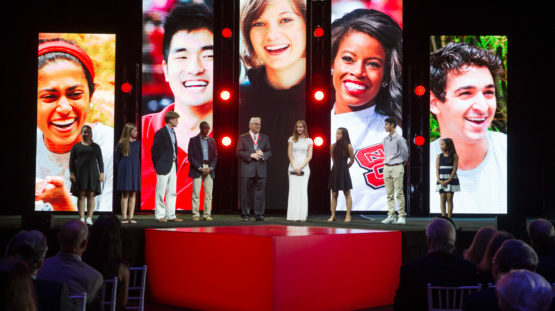 Using a 120’ wide projection surface with 11 different screens, the team was able to highlight unique, individual elements for classes; these included banners and complementary music for specific class eras “dialed up” via an antique radio. 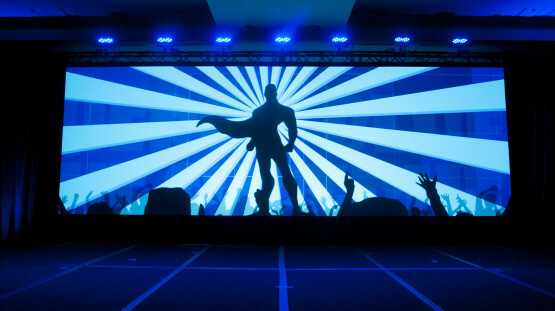 Each presenter was put in front of a specific backdrop, ensuring a wide variety of presentation atmospheres. Duke has kept constituents energized about the University and giving back. Millions in donations had been made across the last five years, and this event needed to reflect their gratitude and ensure a lifetime of loyalty. With a design that had never been utilized before, the team provided a wholly original concept. The audience response was very enthusiastic, with many taking photos and filming video due to the exceptional atmosphere. Having done many events for the University, this marked the first partnership between the Alumni Association and Creative Visions. The Association executive board looks forward to expanding the relationship with new event ideas in the very near future.